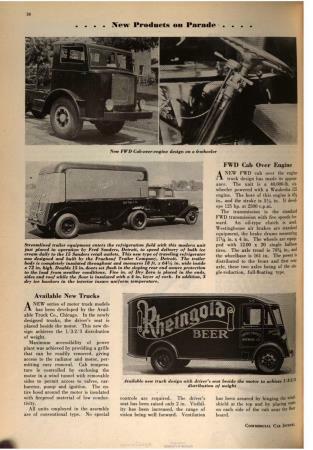 Here is an interesting COE. Photo from Don MacKenzie. It's unanimous for FWD. 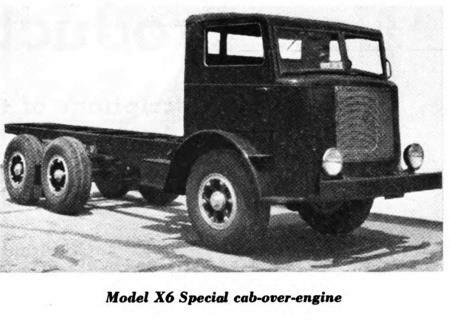 This is a 1934 Model X6 COE. 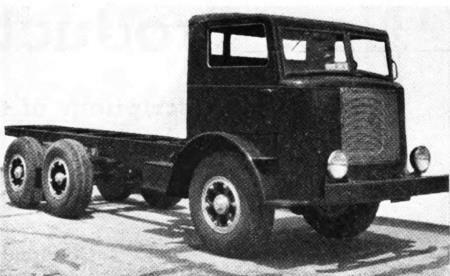 This truck was introduced in an August 1934 CCJ article. The 3rd axle was not powered. Hamish had this first. Thanks to Don MacKenzie for the WAI photo. Those dead back axles were good to get you stuck if you drove off a hump. You don't need a parachute to skydive you only need a parachute to skydive twice.